Looking at the most recent set of results out of organic food company Bellamy’s you would think I was mad putting a BUY recommendation on the stock. However as an investor you have to look into the future and predict what might happen. ‘The buiness retains high confidence in the rebrad, our new product pipeline, continued food growth and successful SARM registration. Although we remain mindful of the inherent risks of our industry and markets, we strongly believe the medium-term outlook remains compelling, supported by category fundamentals, our differentiated position and an aggressive three-year growth strategy’. Bellamy’s products are of the highest quality with some formulas being upgraded. 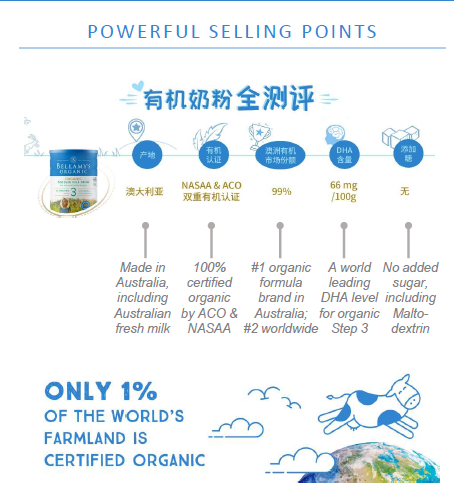 Australia sets the gold standard in food products and this is the #1 organic Brand. Chinese parents want only the best for their bundle of joy. The company’s Marketing Machine looks on point. 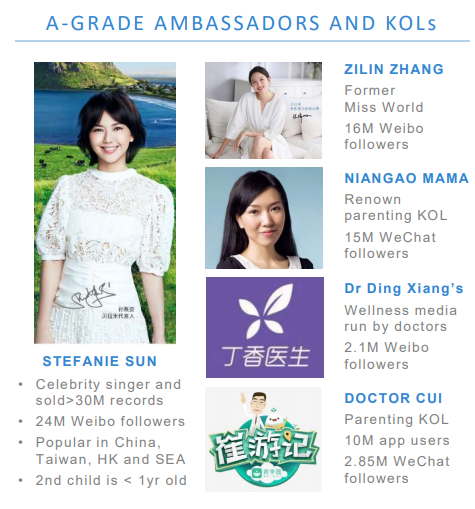 Now these celebrities may not mean much to you, but in China they have millions of followers. Balance Sheet is pristine so they have the ability to execute their plan of attack; which is to make shareholders plenty of money. ‘We retain a strong balance sheet with group cash increasing to $95m, zero debt levels and continued access to a $40m working capital debt facility’.